There has been some confusion among those looking to buy a home and qualify for a mortgage loan regarding the difference between a mortgage pre-approval vs a pre-qualification letter. Indeed, they sound pretty similar, so hearing these terms before or during the hectic time while considering buying can only add to the confusion for novice buyers. It is important for you to know the difference between the two so you can plan accordingly when purchasing your first home. Whether you are buying a home in Pennsylvania or Maryland, home sellers want to know you have the ability to buy their property. The best way you can assure the seller that you are qualified to purchase their home is to have your pre-approval letter. Acquiring a pre-qualification letter is the first step in the mortgage process and it is fairly simple. As the buyer, you may not have sufficient funds to purchase a home for cash, however this defines most buyers. As a result, your ability to purchase a home depends on your ability to borrow money. You will have to provide your bank or potential lenders with your overall financial picture, including your debt income and assets. This can be done over the phone, in-person or via the internet, and there is usually no cost involved. After evaluating your information, a lender will be able to give you an idea of the mortgage amount for which you qualify. This initial step allows you to discuss any goals or needs you may have regarding your mortgage with your lender. Since pre-qualification is a quick procedure and is based only on the information you provide to the lender, the amount you pre-qualified for is not a sure thing; it is just the amount you might expect to be approved for. Pre-approval is the next step, and is a much more in depth look at your financial status/borrowing power. You will have to complete an official mortgage application (there is typically an application fee), and also supply the lender with the necessary documentation to perform an extensive check on your financial background and current credit rating. 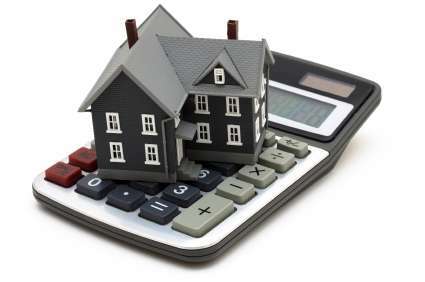 A mortgage pre-approval is a written conditional commitment that is issued by a lender following a comprehensive analysis of a borrower’s overall creditworthiness; verification of income, verification of employment, available financial resources, as well as the evaluation of other areas typical of a credit evaluation process. From this, the lender can provide you with the specific mortgage amount for which you are approved. You will also have a better idea of the interest rate you will be charged on the loan. With pre-approval you will have a better understanding of the homes you can financially afford. This means that you are closer to receiving a mortgage loan commitment from a lender than with just a pre-qualification letter. You will have an advantage when dealing with a potential seller, or another buyer putting in an offer. In the eyes of the seller, you are considered a “strong buyer” with your pre-approval status. Pre-approval is also a very helpful bargaining tool in negotiating a better deal with a seller. Overall, a pre-approval will give you greater confidence in the home buying process and provide you with more leverage when negotiating with sellers. The final step in the process is called a “loan commitment”, which is only issued by a bank when it has approved you, the borrower, and the house in question. This means the home should be appraised at or above the sales price. The bank may also require more information if the appraiser brings up anything he or she feels should be investigated (i.e. structural problems, accessibility issues, outstanding liens or litigation in progress). Your income and credit profile will be checked once again to ensure nothing has changed since the initial approval. A loan commitment letter is issued only when the bank is certain it will lend, so the commitment date on your purchase contract should be closer to closing rather than the date of your offer. Homesale Real Estate Agent or our Homesale Mortgage Affiliates. O’Connell, Brian. “Pre-Qualified Vs. Pre-Approved – What’s The Difference?” Investopedia. Investopedia, LLC, 2014. Web. Nov. 2014.